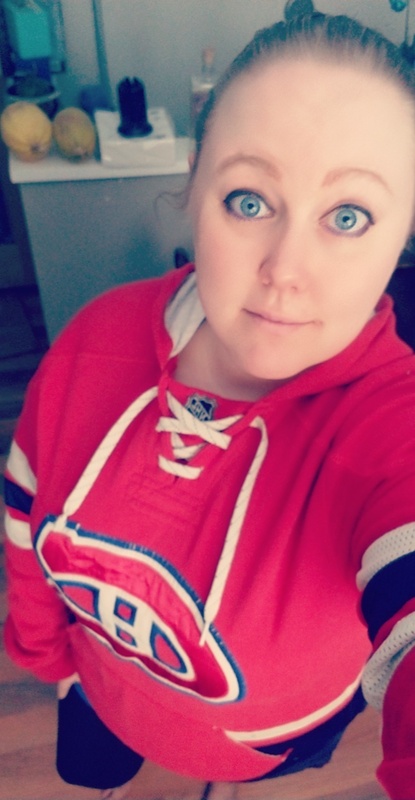 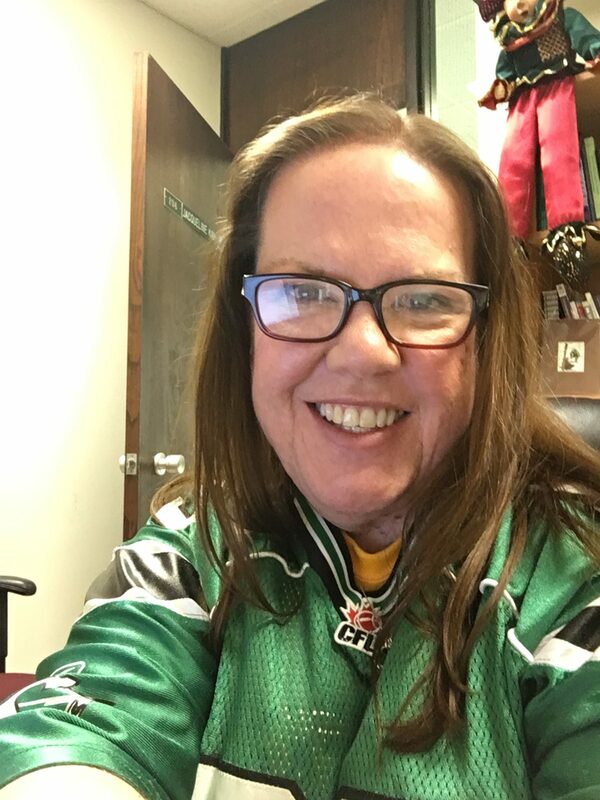 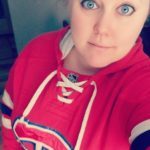 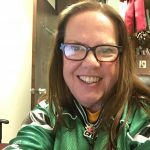 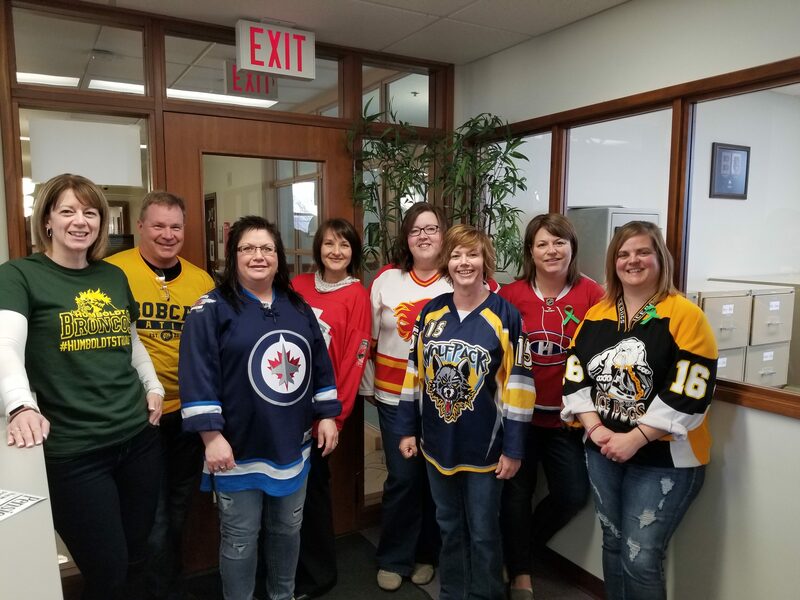 Today is #JerseyDay as people across Canada don jerseys or wear green to commemorate the recent Humboldt Broncos tragedy. 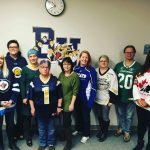 Brandon University is no exception. 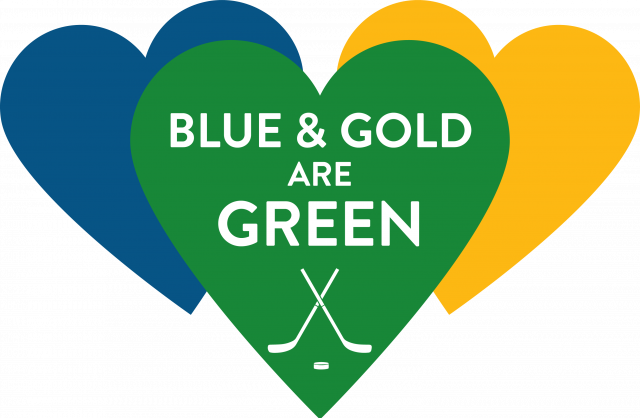 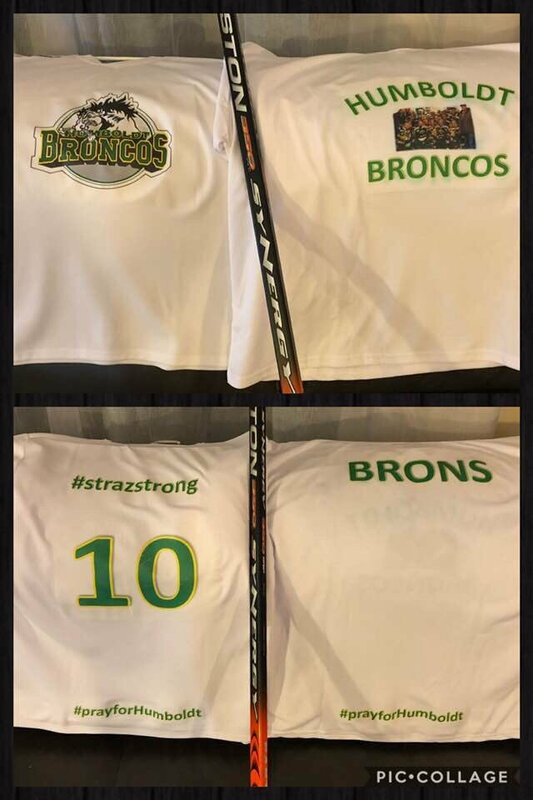 Our Bobcat blue and gold colours come together into Broncos green. 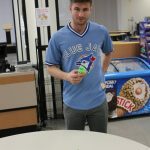 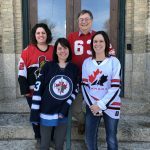 Here are a few members of the Brandon University community and how they chose to mark the day. 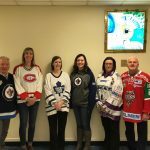 Some of the BU community made their own jerseys. 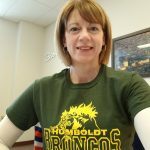 The Faculty of Health Studies honor Humboldt. 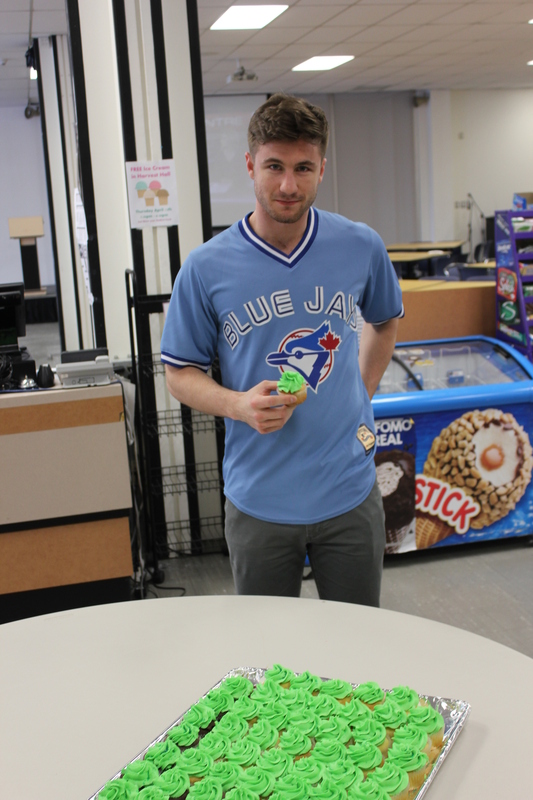 Free cupcakes in Harvest Hall with green icing. 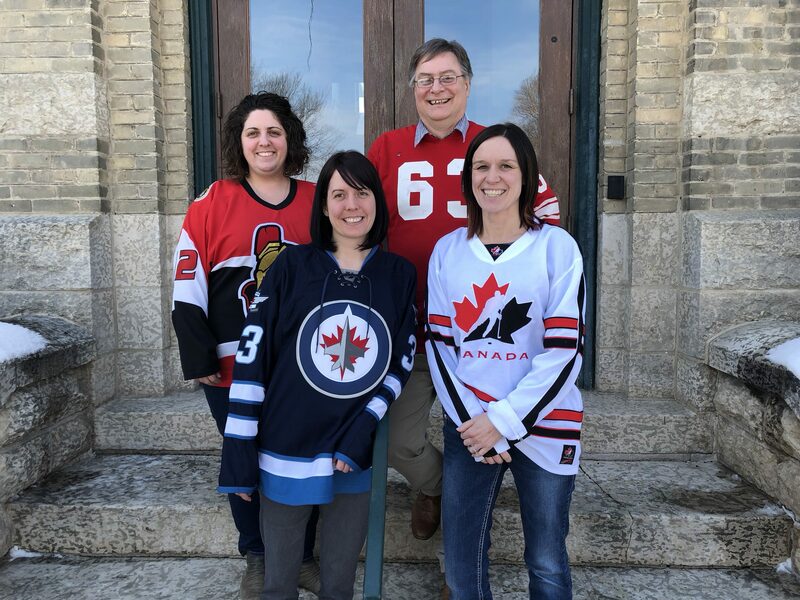 Interim President Steve Robinson and more jerseys from the Office of the President. 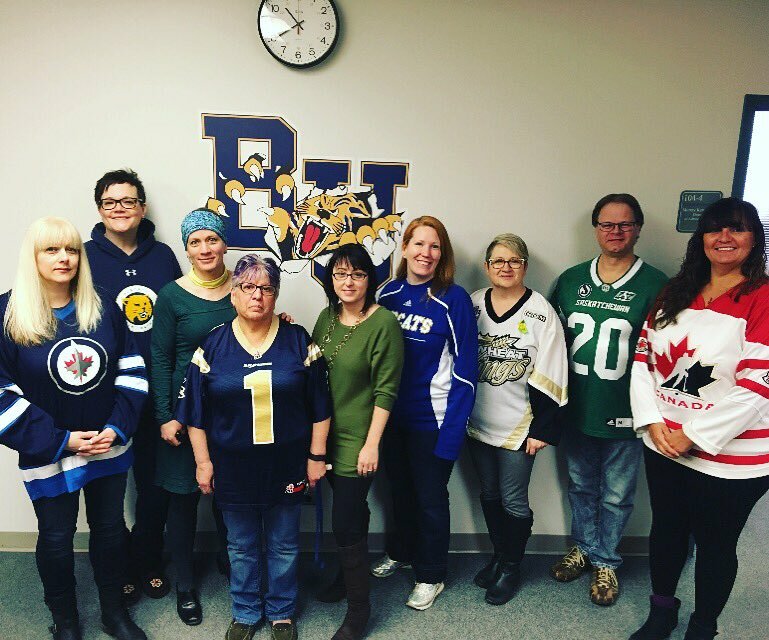 BU Student Services are dressed for the day. 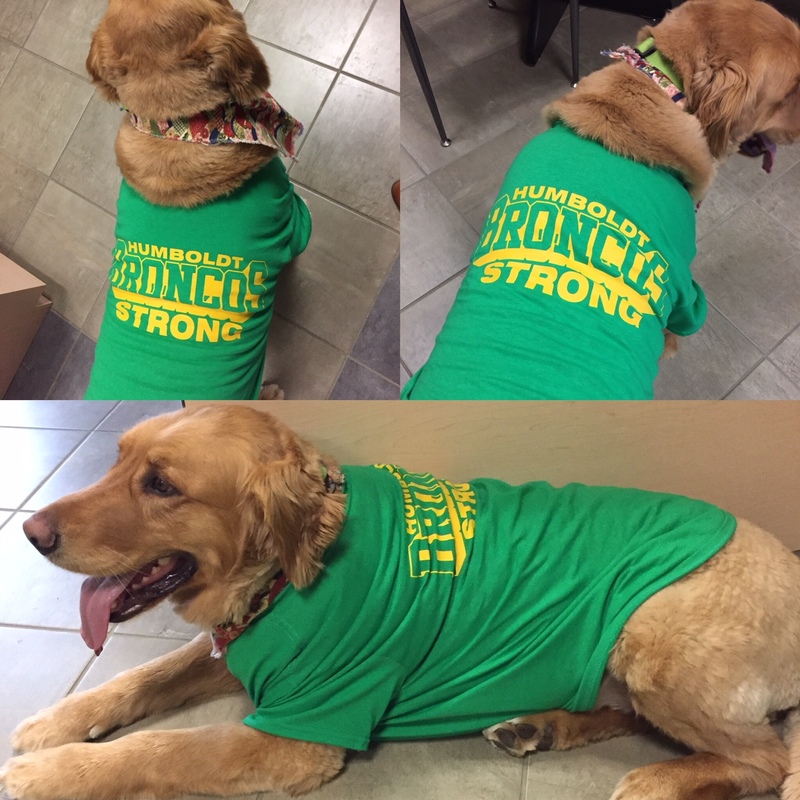 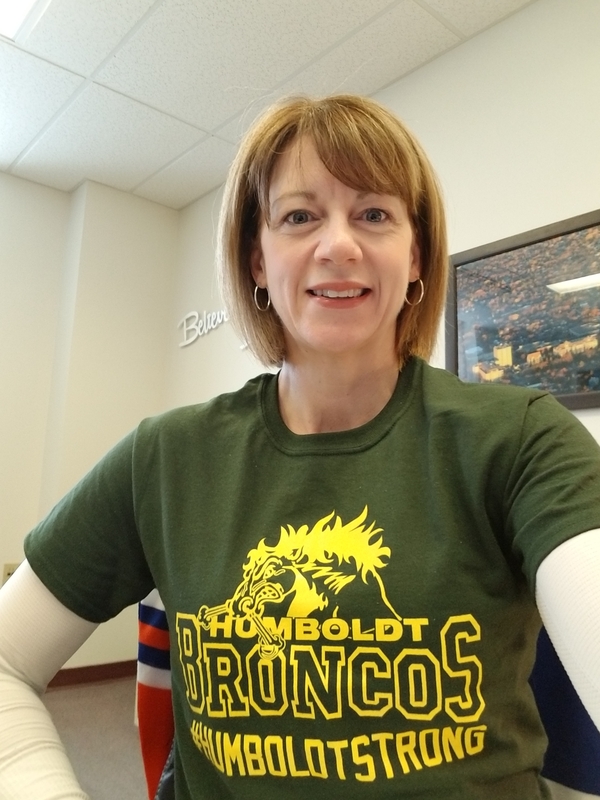 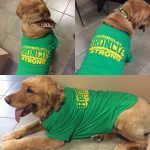 The BU Human Resources team is Humboldt Strong. 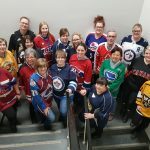 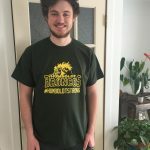 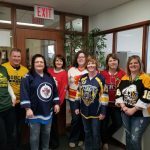 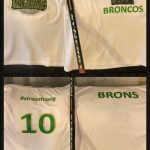 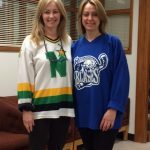 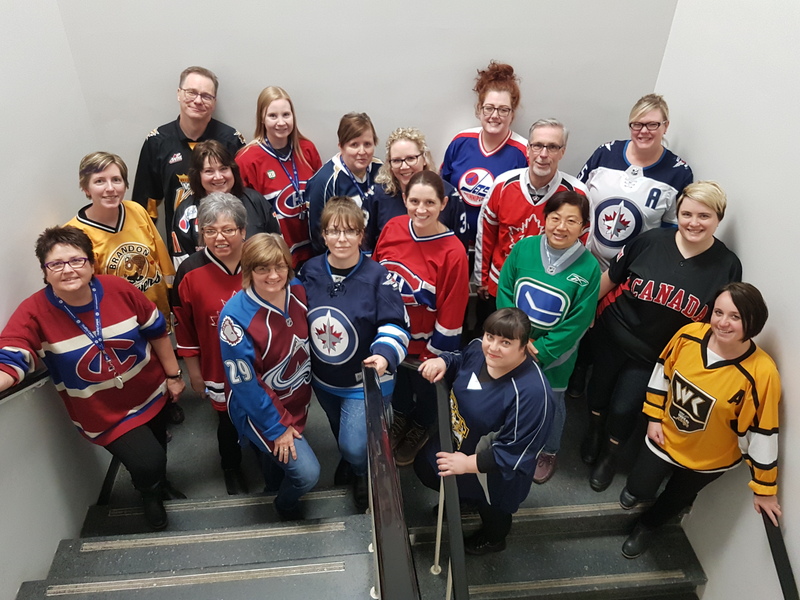 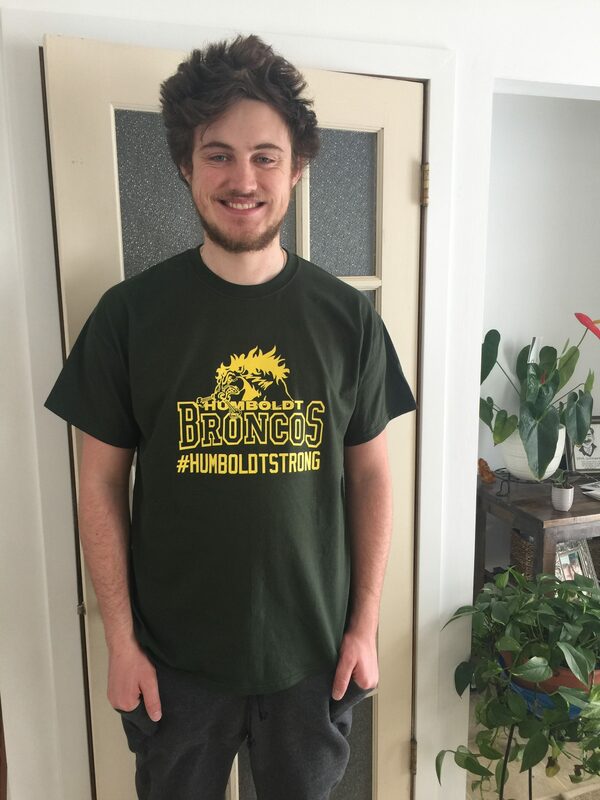 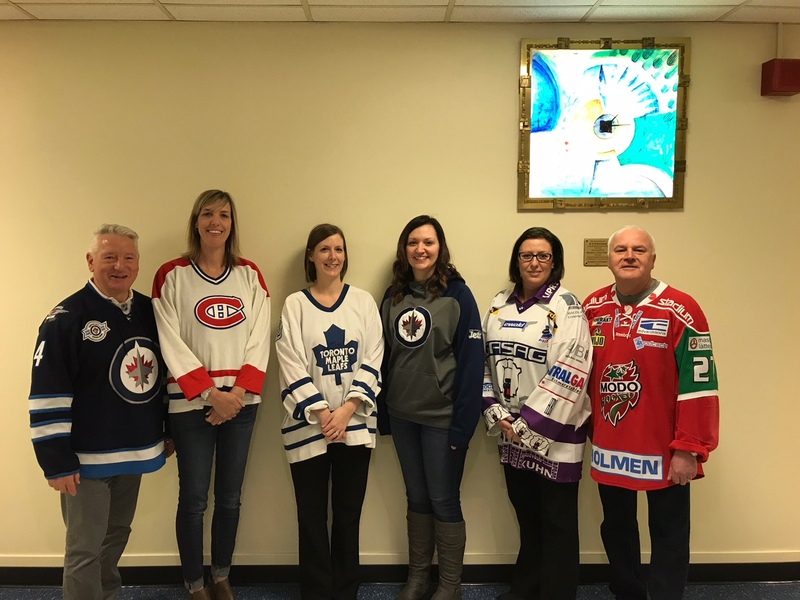 Jerseys for Humboldt in the Faculty of Education. 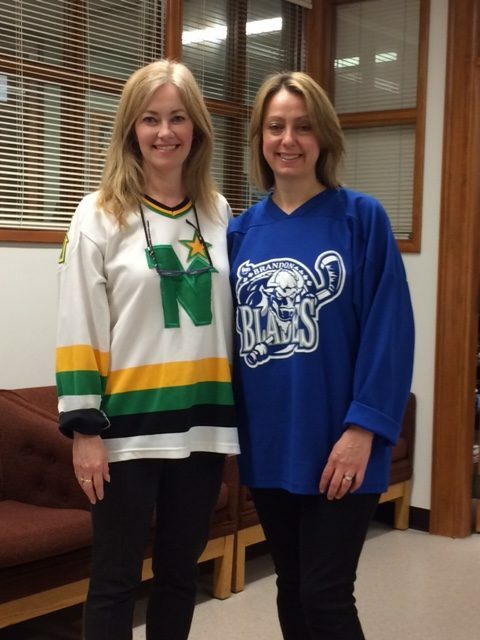 Hockey moms Lisa Murray and Carla Eisler.